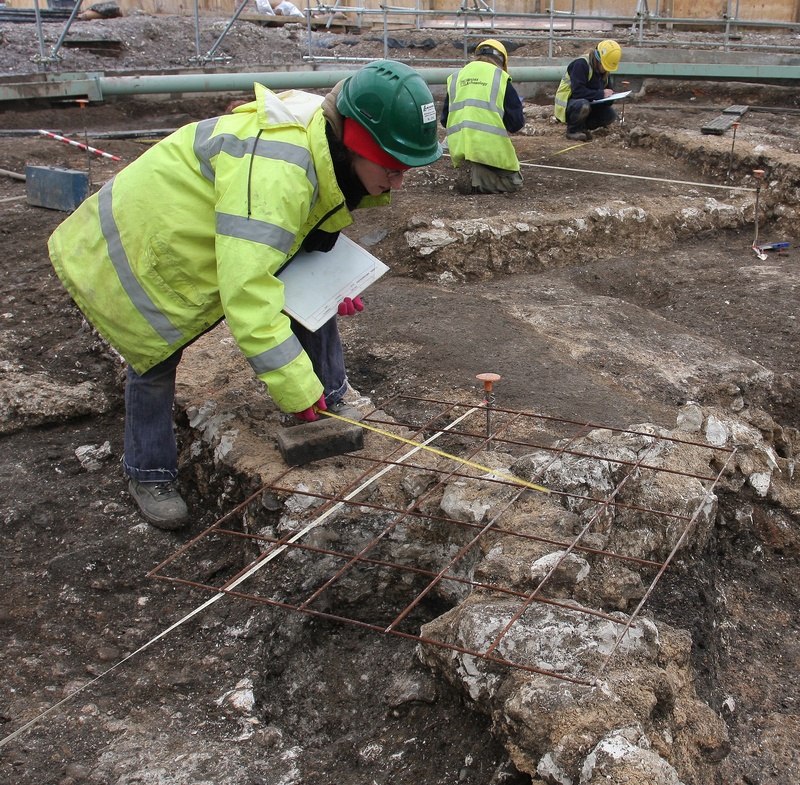 Commercial development at 28 Jewry Street gave us the opportunity to investigate a corner of the city which still holds unanswered questions for archaeologists and historians. Wessex Archaeology Ltd was appointed by Clanfield Properties Ltd to carry out initial test pitting in 2008. Based on this work an excavation strategy was designed and agreed by Winchester City Council's Heritage Environment Officer. The unusual strategy involved sinking the piled foundations of the new building into the ground before rather than after the excavation. As a result archaeologists were able to dig right up to the edges of the site and work safely at some depth below the adjacent road and buildings.